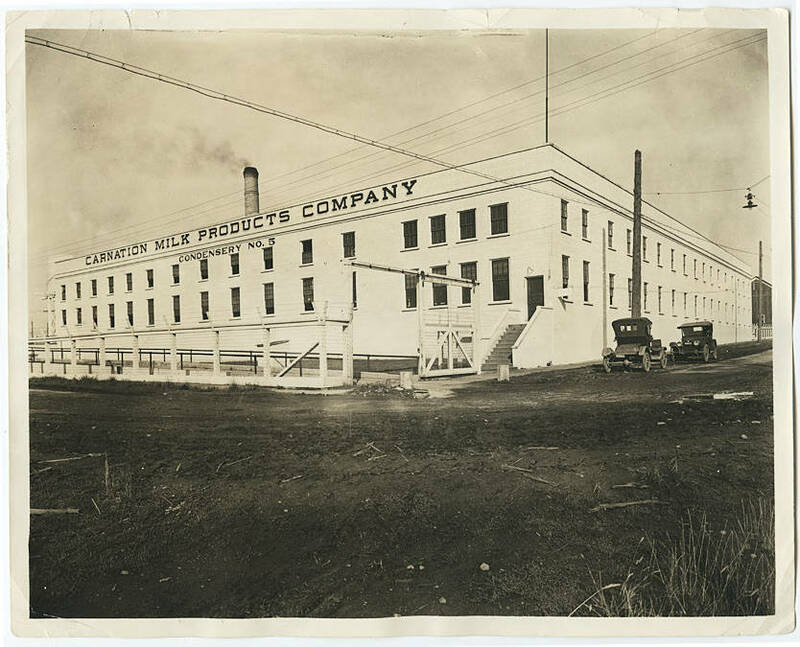 A large square three-story building with 'CARNATION MILK PRODUCTS COMPANY' lettered across the top fills most of the picture. 'CONDENSARY NO. 5' is lettered below. Wire fences with barbed wire surround a driveway along one side of the building, with a large gate. Smoke rises from a smokestack behind the building, and power lines criss-cross the area above and beside the building. Stairs lead up to a door in the corner. Two cars are parked alongside the building, and muddy ground fills the foreground of the image. 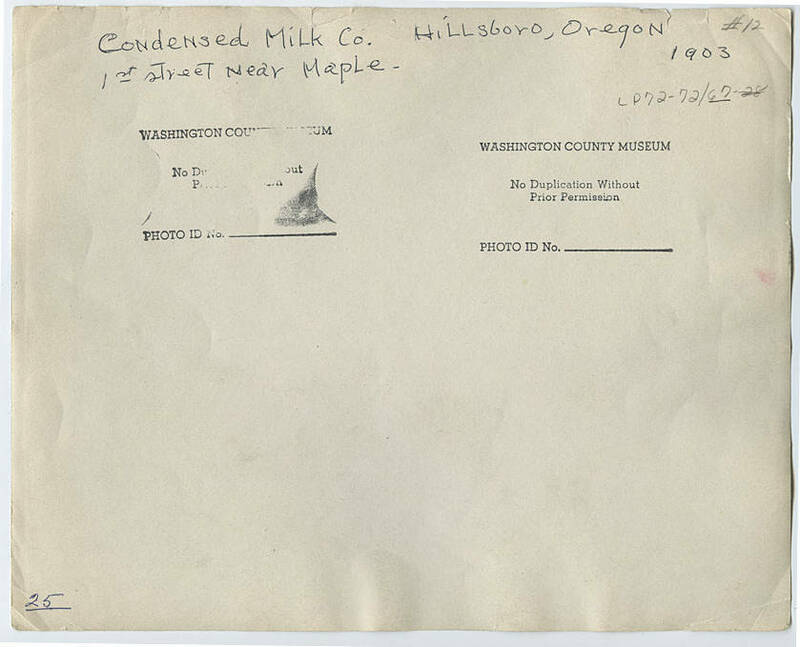 Condensed Milk Co. Hillsboro, OR. 1st street near Maple.